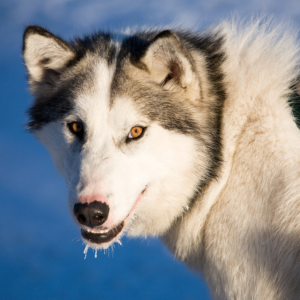 Canadian Eskimo dogs are a brave and resilient breed. 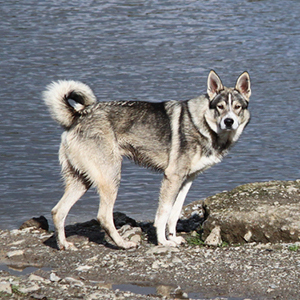 Friendly, hardy, highly active dogs. Large size and heavy coat require that they have a lot of room to roam, and they do not tolerate heat well. May not be appropriate for households with small pets such as cats as they have strong natural hunting instincts. Due to their strength and size, they may inadvertently injure small children when playing, so close supervision required. 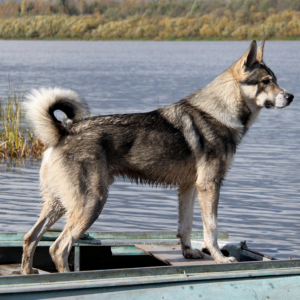 Kept by the Thule people of Greenland and Arctic Canada more than 1,000 years ago, these brave and resilient dogs are thought to have been around since the ancient Inuits, who used them to find seal blow-holes and hunt polar bears. By 1970 they were almost extinct. And if not for the Eskimo Dog Research Foundation being formed in 1972, they probably would be. Founders Bill Carpenter and John McGrath searched the remote villages and camps of the Canadian Arctic looking for more of the dogs. They found less than 200 – but it was enough to get the numbers up again and save the species. 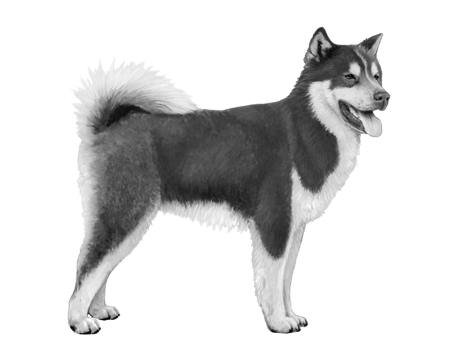 We owe them our thanks for ensuring the Canadian Eskimo dog still continues to warm our hearts today.